My poor Asher has a vicious stomach bug that just won’t quit :(. Since I was tending to a sick kiddo today, I asked The Real Housewives of Bucks County to pick the Tutes & Tips Not to Miss this week. A big thank you to Jess & Monica for helping a mommy out! If you haven’t visited Jess & Monica, you are missing out! Their projects are amazing and have been featured over here on A to Z many-a-time! Check them out when you have the chance. Hey there! We’re Monica & Jess, AKA The Real Housewives of Bucks County. How many of you are envisioning us running around in high heels and getting plastic surgery? Nope! We are best friends and avid DIYer’s, who like to keep it real about the sucesses and failures in our lives. Ok, so now it’s time to break it down! 1. $2.00 Goodwill Wine Bottle Lamps from Pondered, Primed, Perfected. 4. Monogrammed Drop Cloth Pillow by It all Started with Paint. Great job, ladies! Phew- that was so much fun! And thanks for the chance to pick our favs, Beth. 🙂 We’re praying your little guy gets better soon! First of all I am sorry your little guy is so sick. Poor guy. I truly hope he feels better soon. Thanks for sharing some of your finds! I am loving the demijohn lamps! Very cool! 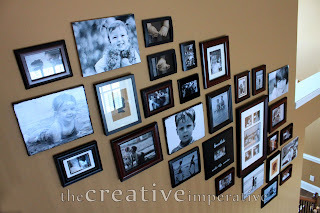 Thanks for hosting a link party so I can share my creavity, and learn from so many others. Thanks for a fun party Beth. Hope your little one is on the mend soon. Did you read #31 about th elittle boy and blankie! I almost cried! Fun features! Thank you for hosting and I hope you have a fantastic week! Hope Asher feels better soon. Thanks for hosting. Get well soon Asher! Mommy needs to get stuff done ;-). 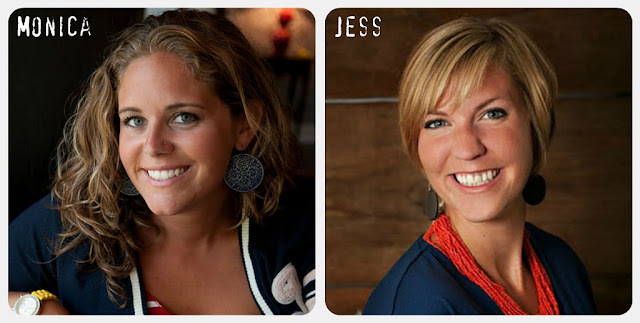 Jess & Monica sure did choose some amazing projects! Thank you for hosting! Hoping your kiddo is better soon! I am linking up the grossest “tute” ever- the termite identification! AND, how not to overreact! Thanks for hosting! Having a sick kiddo is the worst! Good luck. Hope your little one is feeling better soon, its horrid when our kids are ill. Thanks for taking the time to still host your party! Beth, I feel your pain. My daughter was wiped for 7 days with strep … and we teetered there a few days with fear of mono! Mono! In an 11 year old? … and I’m sure both of you are feeling my pain on this one, but I cannot believe that they canceled Nate! Really? I just love his show! It’s part of a two-hour late afternoon block of Nate & Ellen for me while the kids work on homework. So bummed! First All My Children. And now Nate. I’m sorry your little guy is feeling well! And thanks so much for highlighting my project, it’s a fun room! Thanks for letting me link up. I hope Asher is feeling better!! Hope Asher feels better. My Moose had a 4 day fever. 🙁 Thanks for hosting and love your guest posters! Hope your little man feels better! Thanks for the pArtay!!! 🙂 I love that DIY pendant featured…cool! hope your little guy feels better & you all get some rest. Hey Beth, so sorry you have a sick boy at home. Hope Asher feels better soon. Thanks for having this link party!